Coachella -- simply utter the phrase, and nearly everyone in the apartments for rent in Los Angeles is going to know what you’re talking about. The music festival has seen what could be described as meteoric growth within past years, and this year, 2018, is set to have the eyes of the entire nation focused on it. Onlookers will be waiting to see who is in attendance and what will kick off, but we’d like to give you an early peek at what lies in store, along with all the details you’ll need to know to get out there and enjoy the festival in all its glory. Here we go. Coachella will be taking place over two weekends: April 13th to 15th, and April 20th to 22nd. While advance ticket sales are over and done with at this point, and the January 5th ticket sale has come and gone, there still might be a few chances to snag some passes here and there if you keep your eyes peeled and ear to the ground. For those that already have their passes, though, you’ll want to start preparing for the event, which means brushing up on pertinent festival information. Chief among this information are details regarding on-site camping, one of the best ways to experience the transformative event. The Coachella Guide contains information on how to get to the campgrounds, along with info on tent and car camping spot sizes and the amenities provided at the campgrounds. Those amenities, by the way, include free showers, Wi-Fi, vendors, a market, phone charging stations, water stations, a general store, and even supermarket shuttles. There are also more exclusive camping setups on Lake Eldorado, and safari-style tents that bring the comfort and convenience of home to the Indio desert. Of course, camping isn’t the only way to stay at Coachella. The event organizers have provided guests with information on hotel packages at revered lodgings near the festival, along with shuttle transportation to and from the event. There’s also a Trip Planning Guide for those trying to get all their details nailed down well in advance of the show. You’ll need to stay abreast of the Festival Rules for the best experience possible, and pay special attention to what is and is not allowed inside the venue. 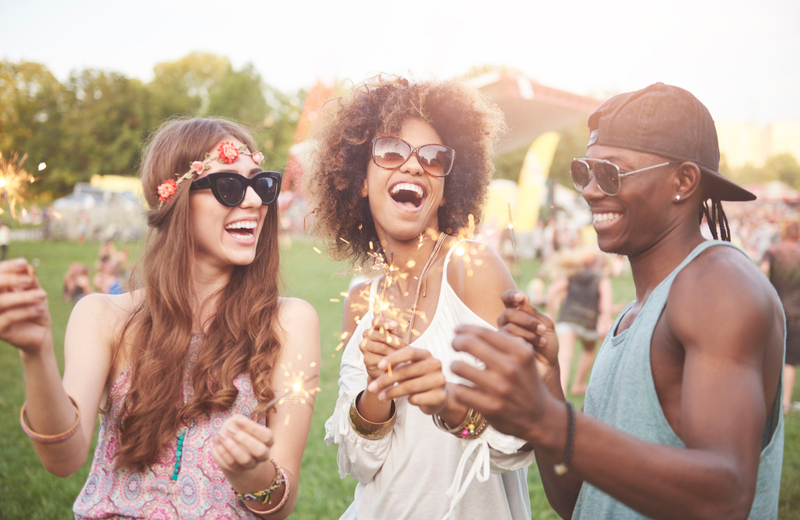 For further information on the ground rules and what you’ll need to know to get prepared and enjoy yourself, you should consult the many Coachella FAQs, which cover where you can stay, what’s at the festival, and how to behave. Also central to the famed “Coachella Experience” is the concept of sustainability. The TRASHed art display is but one component of this overall philosophy, with additional initiatives including a carpooling contest (Carpoolchella), recycling store, the incorporation of wooden signs at the event, and an energy playground -- among others. You can read up on the charities and their missions here, and doing so will add a bit of perspective for those who view the totality of the two weekend festival as just an excuse for youngsters to frolic about under the desert sun. Naturally, the Queen B is the most notable name on the list, and as the event’s headliner, joined by The Weeknd and Eminem (his Coachella debut), is sure to put on a spring spectacular worthy of the annals of history. She’ll not be the only big name on the docket, however, as up-and-comer Cardi B is set to be in attendance, as are the inimitable Migos, Post Malone, and SZA. Coachella veterans will also be in attendance, including the always-funky Jamiroquai. Trading on the success of their recent comeback after the release of their last album, Automaton, Jay Kay and company will be infusing the Coachella air with their trademark soul and Kay’s wildly dramatic headdresses. For fans of guitars, there will also be plenty to get excited about, as War On Drugs, Alt-J, Priests, Fidlar, Fleet Foxes, Cherry Glazerr, and the Regrettes will also be in attendance. The drive from superb LA communities like Eighth & Grand to the deserts of Indio takes about two hours, so be sure you rest up in a spacious, fabulously featured living unit before heading out. DTLA has the best the city can offer, and provides a location that’s conveniently located in the most coveted neighborhood in the whole of Southern California.